Last edited by Jdreg; 05-23-2018 at 02:28 AM. 502 spec is fine for the 2017 GTI. Unless they updated your engine I would assume the same holds. 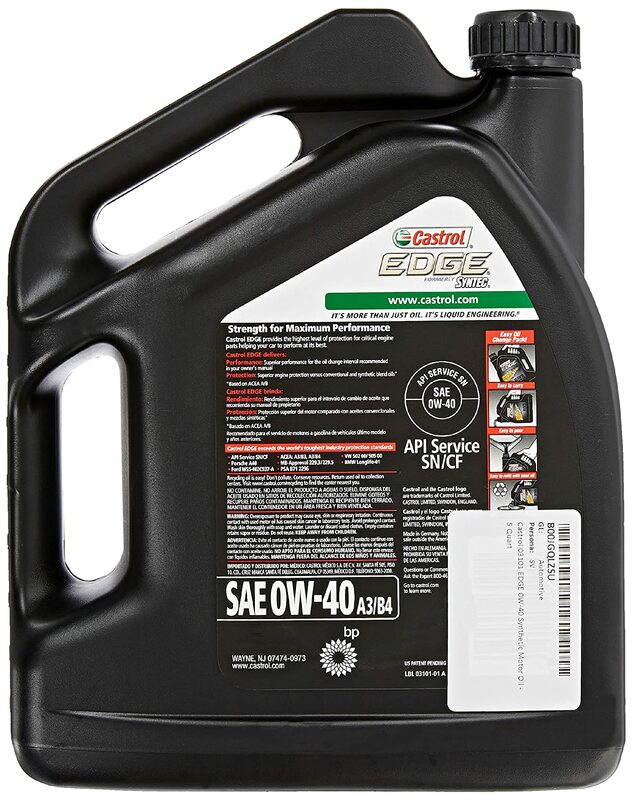 Snag the Castrol Edge 0W40 A3/B4 Euro Formula from Walmart (less than 30$ for 5 quarts). It's a Class 4 Oil - PAO (unlike the other Class 3 synthetics) - and meets all the highest Euro Mfg requirements - including VW 502. Not sure why some people keep pushing Liqui Moly, twice as much and isn't officially tested at VW 502 (only recommended, not approved) specs unlike the two listed here. I believe Mobil-1 FS 0W40 meets the requirements as well (pretty sure the FS one is Type 4) but did lose it's BMW LongLife-01 spec (compared to Castrol). Note: the small FS label near the handle. Last edited by funks; 05-23-2018 at 03:30 AM. I'm attempting to research this at the moment. I looked up the SDS for Mobil 1 and its looking like group III. Wonder if they changed the formulation when they lost BMW LL01 certification. The Mobil 1 SDS says: "Mobil 1 FS 0W-40"
Ingredients lists 40-70% "DISTILLATES, HEAVY, C18-50 - BRANCHED, CYCLIC AND LINEAR". I'd say that makes it a group III. It does include 10-20% decene which is a PAO. Anything approved by vw with their 502 will work fine. Cheaper options include the stated Castrol and mobile 1. I've always used mobile 1 0w40 on my mercedes. Used it for my first change on my mk7 then after tuning switched to liqui moly 5w40. Engine runs a few degrees cooler, and oil is cleaner when I change it. It is not only recommended for vw502 it is most definitely approved by vw themselves. A simple check on the bottle or website will show you. Same with motul, and a lot of other high quality oils. Don't over think it. Go with something approved for warranty reasons and your fine. BMW is selecting 0w-20 for better fleet fuel economy ratings. I'd suggest people get the SOPUS/Pennzoil Platinum Euro, as it's made with newer technology and has more stringent approvals. 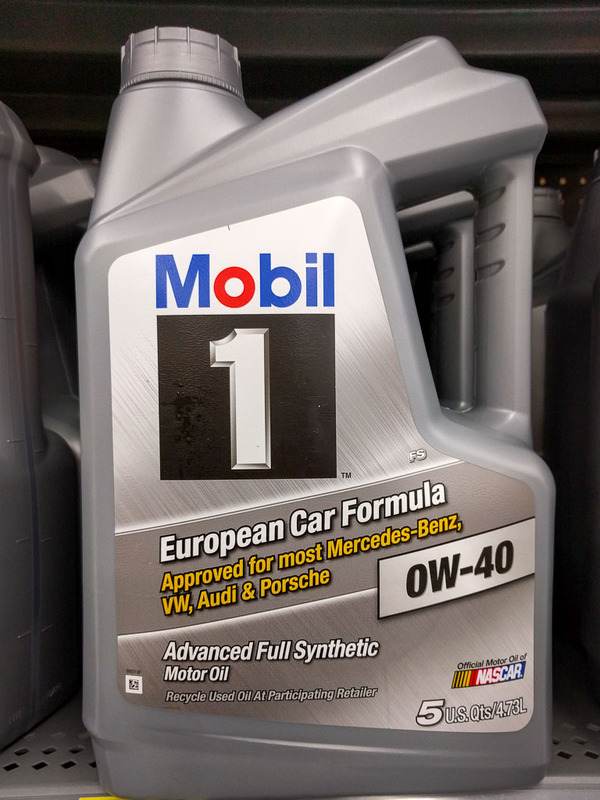 Im using m1 0w-40($10 for 5 quarts after rebates) when factory oil is changed. Don't need to overthink oil or spend big bucks. It won't make any difference as long as you use the oil with the proper approvals and weight. I never thought I'd be saying this, because after 40+ years of changing oil in my own motorcycles and cars I've never really "felt" a difference in how a vehicle performed with different oils, but I thought I'd pass along the following: Last two oil changes on my 2016 GTI, i used the Castrol 0w40. Seemed fine, engine sounded happy, etc. But I did notice some slight surging running up through 2nd and 3rd gears, and sometimes in 4th. I thought it was the stock mpg-oriented tuning or maybe my imagination, but.....I just changed the oil again, this time using 5W40 Castrol Professional from a kit offered by ECS Tuning. The hesitation/surging is GONE. Gone completely. The engine also sounds a bit sweeter at idle, less "clatter." Anyone else have similar experience? I'm sticking with 5W40 until further notice. Which is best to use, I think the manual says 5w40, but people are using 0w40. What is 0w40 and is it okay to use? Just lighter weight when it's colder. As long as it's vw502 certified your fine.